Telling Time Worksheets are a great way to practice reading a clock or watch face. 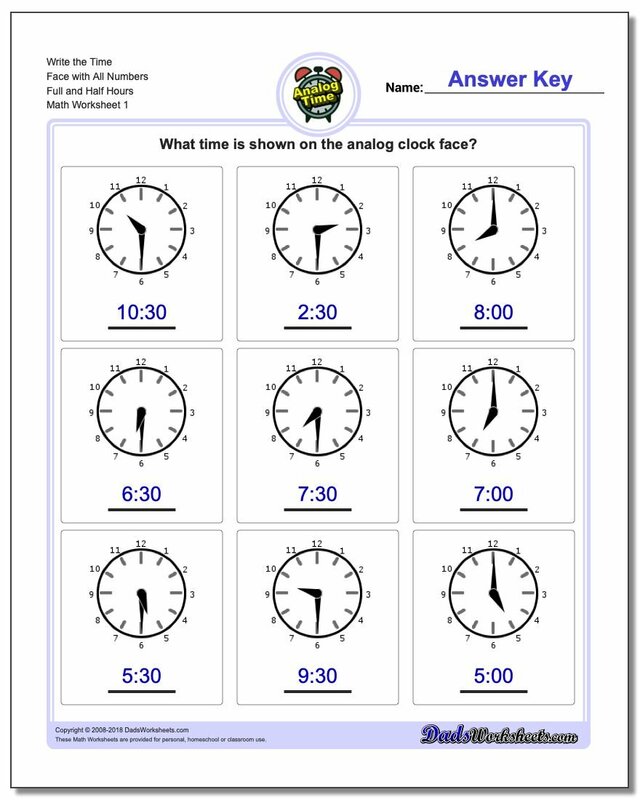 On most of these worksheets, grade school students will be presented with a clock fact they either need to read to tell time or that they need to color in the hands to reflect a given digital time. 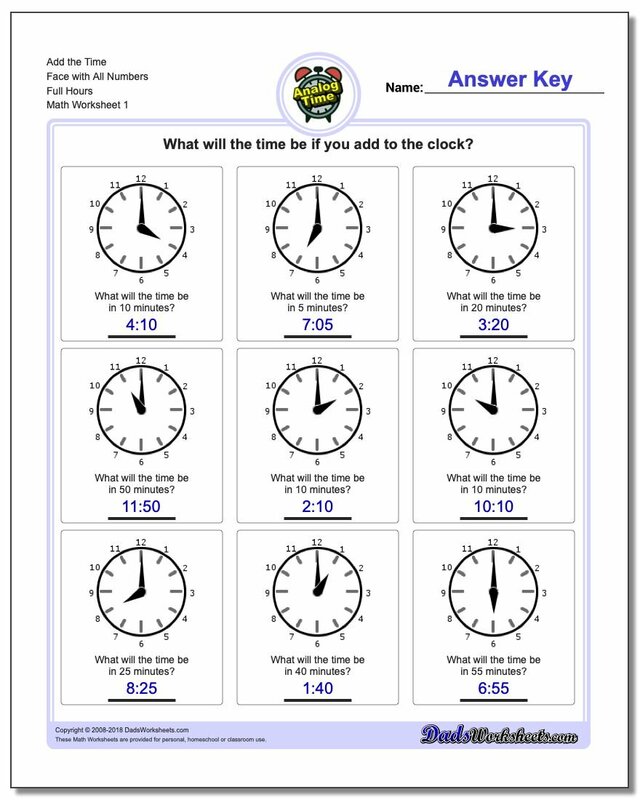 Later worksheets on this page require students to add minutes to the time shown on the clock to determine a new time, with various problems starting with whole hours and more advanced worksheets adding minutes to times that cross the twelve o'clock boundary on the clock face. 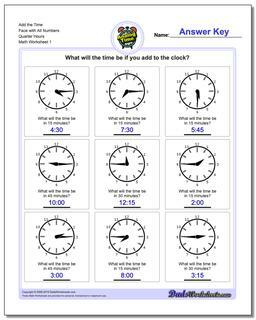 This section contains worksheets for telling analog clock times at full hour intervals. Worksheets with simple addition of minutes to whole hours. 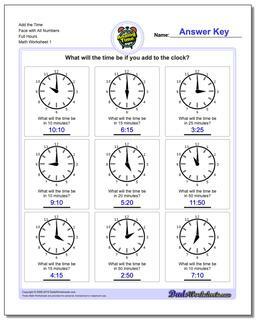 Time worksheets with addition of quarter hours (addition of 15 minute intervals to times). One of the strangest mechanical devices around is of course the analog clock. 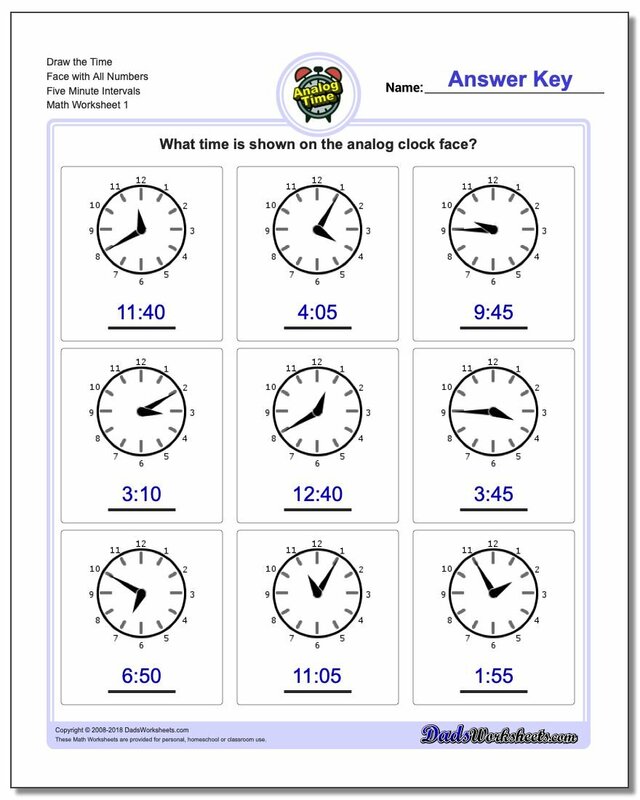 We see them everywhere because for so long they represented the pinnacle of design and engineering. 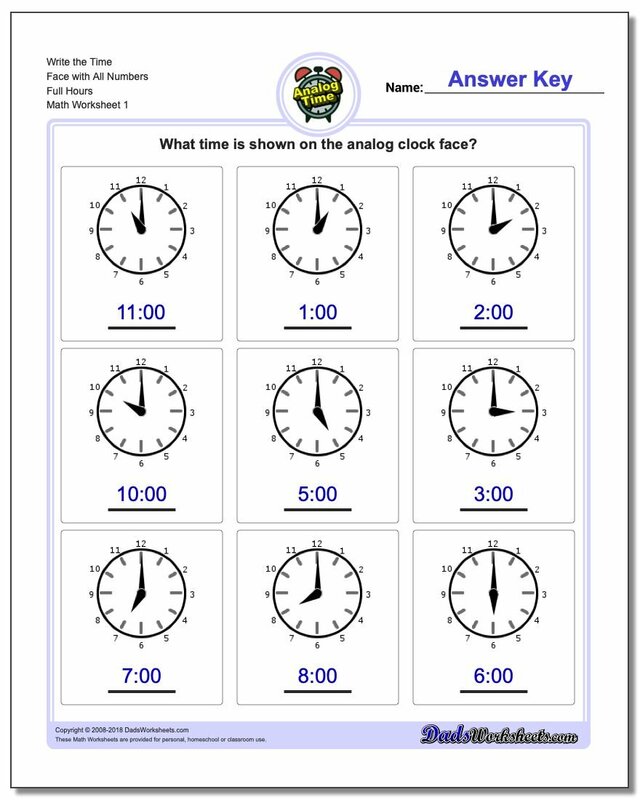 Building up competency and confidence telling analog clock time requires a lot of practice, and these worksheets are here to help!